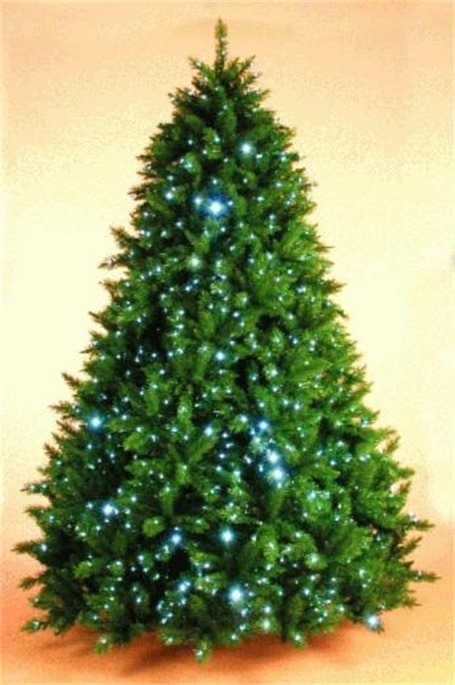 The Best Pre-lit Artificial Christmas tree in the world .Voted Number 1 in the USA for the past 5 years. This is our 12th season with the Brunswick Pre-lit Christmas tree which has sold out early in the past .For 2018 we have sizes 7ft 7.5ft, 8ft, 9ft and 10ft and 12ft pre-lit Brunswick Spruce with warm white Leds.We also have 7.5ft Pre lit white Brunswick Spruce. All trees can be viewed at OUR SHOWROOM ON MAIN STREET (NEXT DOOR TO THE CHURCH) IN DUNDRUM DUBLIN 14 OPEN EVERY DAY FROM 11AM. The leds (light emitting diodes) are woven invisibily into the branches and look fantastic from all directions .The tree itself is full all the way to the ground.Comes complete with stand and low voltage transformer .Current owners of this tree are the US Embassy and Dundrum town Centre and very many top hotels.These trees are totally unique. The Led lights are fitted in in such a way the wires are not visible . 7ft Pre lit tips 1554 with 372 warm white low voltage led lights. 8ft Pre Lit tips 2214 with 532 warm white low voltage led lights. Sturdy hook on construction each branch with it's own power source. Low voltage replaceable Led lights. Fire retardent material. Price includes delivery to all parts of the Island of Ireland.